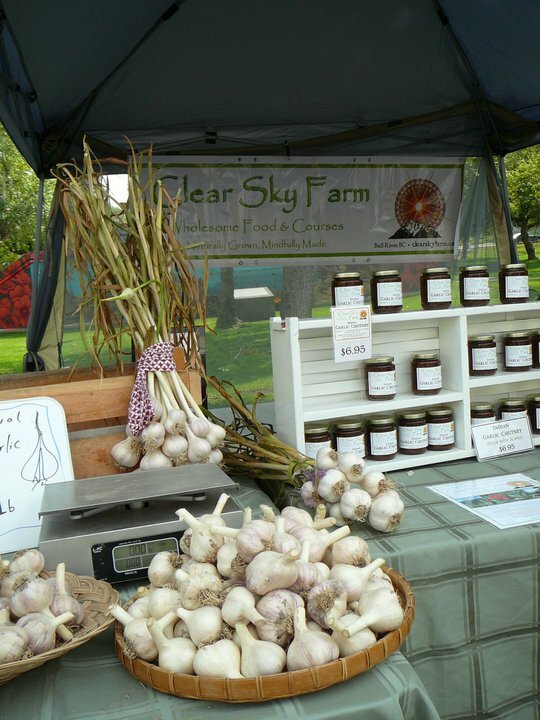 Clear Sky’s food forest is growing quickly and we will soon be offering fruit and other products. We are no longer selling garlic in order to focus on this. Our mail order service is available for people living outside of the Cranbrook area and who would like products sent to you. 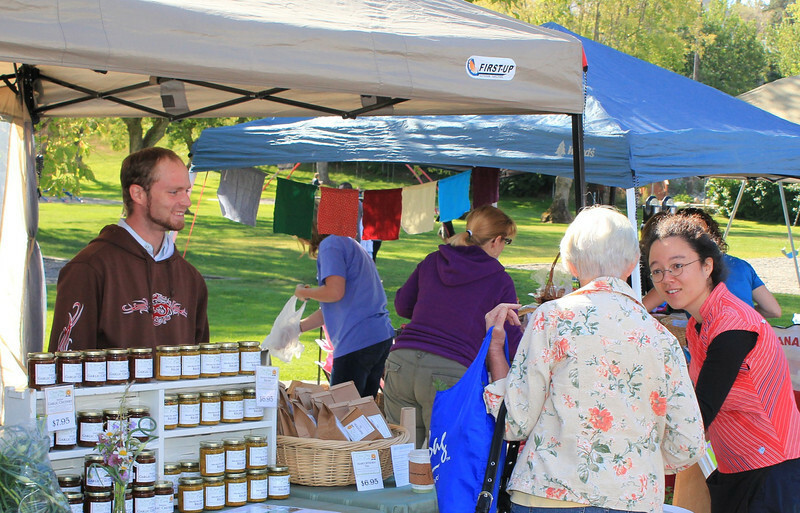 We support LOCAL food security worldwide as well as in the East Kootenay. 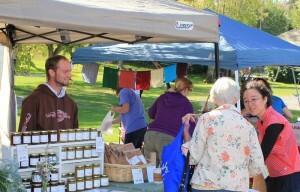 Look for us at the Cranbrook Farmers Market during the summer, but please call first to confirm we will be there. Our products are also available in our on-site gift store when you visit us at Clear Sky. Join us for a course on food forests or permaculture, participate in Grasslands restoration efforts, volunteer for a day, or even attend a meditation retreat at Clear Sky Centre.